This site is best viewed on a computer, tablet or laptop. Patsy Cline, Hank Williams Sr, Jerry Lee Lewis, Tim McGraw, Roy Orbison, Crystal Gayle, Conway Twitty, Elvis, Neal Diamond, Willie Nelson, Waylon Jennings, the Beatles and many more. Rising Star Promotions. 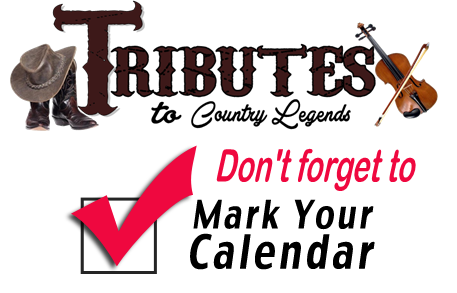 Any Tribute to Country Legends shows done at other venues or events that does not have the logo are Not Associated with Rising Star Promotions. If you are in question about any of our shows please contact Rising Star Promotions by filling out the Contact us form on the left of this page. We will contact you back when get it. Please don't forget to give us your phone number in the comment box.